Brand new to Australian Shores for 2018, the FX Limited SVHO is the premier model in Yamaha’s WaveRunner range. Delivering the ultimate combination of unbridled power, high-end luxury and all-round travelling performance, the FX Limited SVHO is built for luxury and performance. 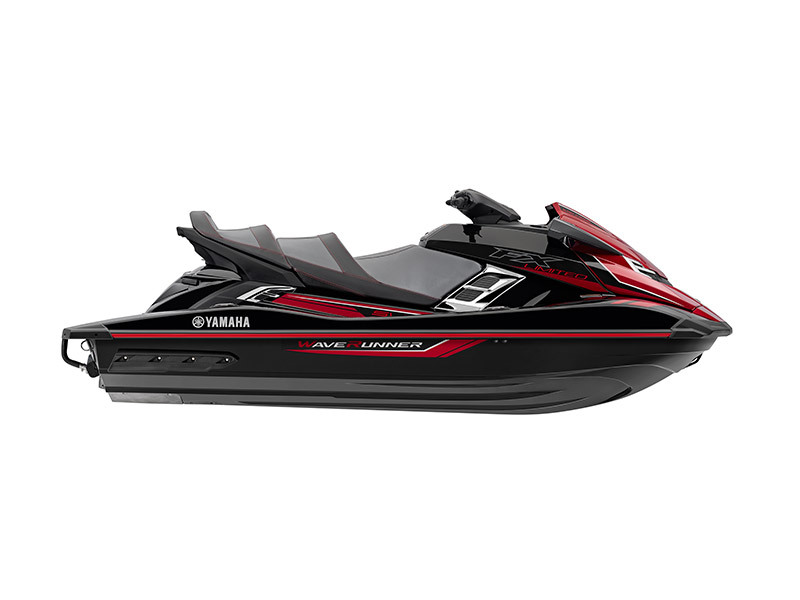 Powered by Yamaha’s 1812cc Super Vortex High Output marine engine, this craft produces more supercharged power, torque and displacement than any other Yamaha WaveRunner in history. Matched to the ultra-lightweight, extremely agile and highly responsive NanoXcel2® hull and deck, the FX Limited SVHO delivers exceptional stability and handling for its size. Not to be outdone, the FX Limited SVHO comes packed with cutting-edge technologies and luxury extras including Yamaha’s patented RiDETM – dual throttle handlebar control system, Cruise Assist, No Wake mode, electric trim, remote security and Advanced Multi-function Information Centre which includes a digital compass, water and air temperature and fuel flow gauges. Engineered for riding excellence, the FX Limited SVHO is the pinnacle of all-round power, style and luxury.